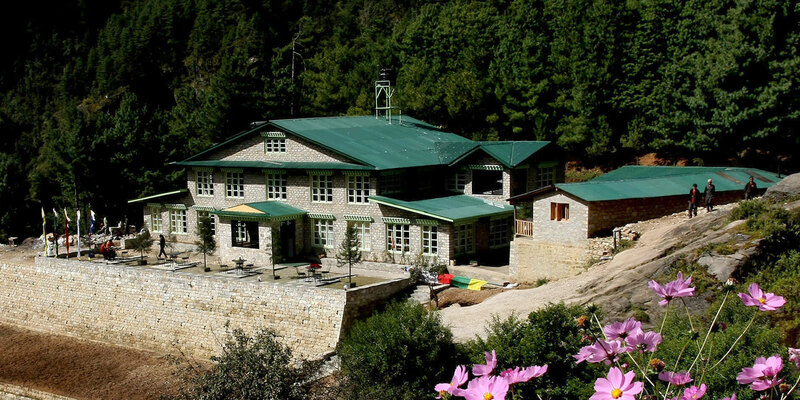 The newest of our lodges, YMH Monjo is steeped in luxury, with acres of space and all fitted out in classic Sherpa style with some of our most experienced staff. You’ll enjoy a warm and very comfortable stay at Monjo. Monjo lies at 2,840m on the edge of the Sagarmatha National Park, just a short day from Namche Bazaar. The lodge has 11 comfortable rooms with attached bathroom and hot shower. Nearby in the small village there is a small Buddhist Monastery and a primary School. It’s a quiet place, with few tourists stopping here, and so is perfect for relaxation and contemplating the natural surroundings. Our bedrooms are finished in a traditional Khumbu Style with natural wood featuring extensively, for a warm cozy and relaxing feel. Each room has been designed with your total comfort in mind. Our lodge bedrooms are finished with a combination of traditional Khumbu and modern style with natural wood featuring extensively, for a warm cozy and relaxing feel. Each room has been designed with your total comfort in mind. All bedrooms offer either king-size bed, twin-bedded or triple bedded accommodation. To ensure your complete comfort, we operate a no smoking policy throughout the hotel and also do not allow any pets. We have an electric mat in each bed and clean blanket to keep you warm. A thermos of hot boiled water is served in each room. Our dining hall is designed in traditional Khumbu style, decorated with copper pots and fine traditional paintings on the wall and ceiling. We can arrange setting for 24 people. We have sealed chimney in our dining room for our guest who can enjoy their mouth watering meal with the warmth of the fire. We serve organic vegetables which are grown in our own green house.